Noble Peace Prize winner and activist for girls eduation, Malala Yousafzai, gave an inspirational speech to young people at Man Met University today urging young girls to use education to empower themselves. The Pakistani human rights activist, the youngest ever recipient of a Noble Peace award, was joined by her family to give out prizes to primary school and high school students taking part in the Mother Tongue Other Tongue poetry competition at Man Met. Flanked by bodyguards, she told the rapt audience - who only knew that a surprise guest was due to hand out prizes - that millions of girls worldwide were denied education because of poverty and ignorance. She spoke of her own experience of being shot by the Taliban for attending school because the "extremists" wanted women to remain in the home and not be empowered by education. Malala has set up her own charity, the Malala Fund, to fight for the rights of girls to an education. 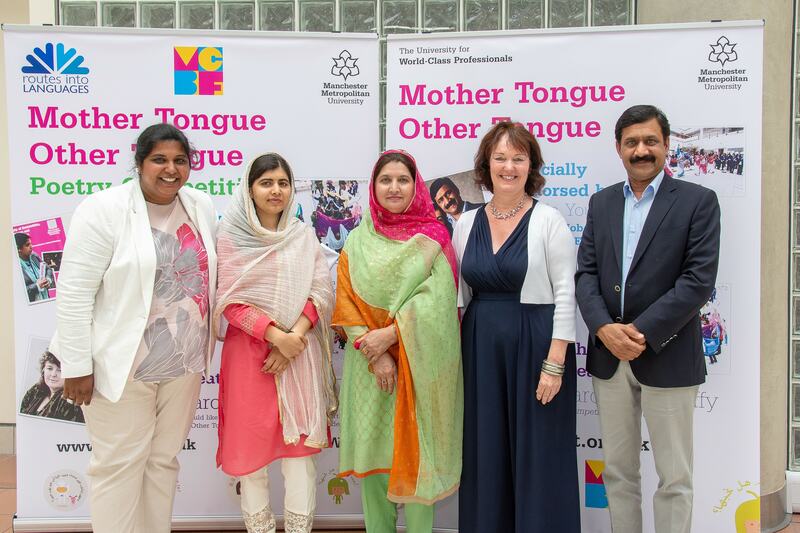 The Northern Quota was invited to an interview briefing with Malala and her family arranged by the pro vice chancellor of the faculty of Arts and Humanities at MMU, Professor Sharon Handley. Malala said: "Access to education in many parts of the world is not valued when it comes to girls, because it is not considered equal to men's. In some cases it is seen as a burden to the family, or it might be because of poverty. "When the extremists came to our region and denied people education, I realised it was something more than just reading and writing - it was about empowerment." She stressed the importance of learning another language - Malala herself speaks three languages - as a way of gaining another viewpoint on the world. "I'm really proud of the fact that I can speak these other languages. It is a reminder me that it is something so important. I'm really happy to see students are encouraged to speak other languages," she said. Malala, who lived in the Swat valley region of Pakistan before being forced to flee to Britain following her shooting by terrorists, spoke with pride about her own mother tongue, Pashto, and how it gave her a "cultural identity". 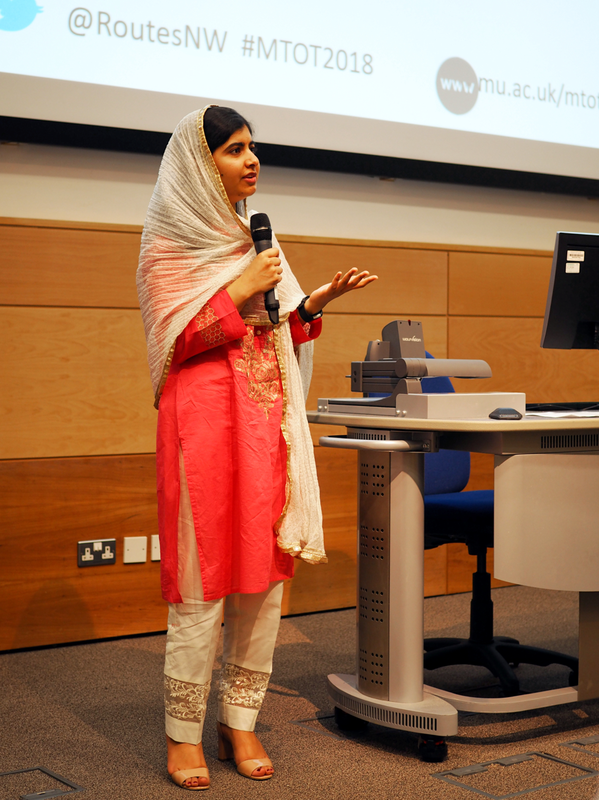 Welcoming Malala to Man Met, Professor Handley told the audience of young students that Malala was an "exemplar" for what MMU is trying to achieve. She said: "She is inspirational in the way she promotes education. She is a great example of the way multi-lingualism we are telling you about is so important. "She is campaigning for the right of schoolchildren and girls in particular to an education."